If you are a parent with an SPD kiddie I hope after reading this you get some encouragement. Yesterday we did an outing with our two SPD kiddies, an outing that just last year would have been difficult and yesterday it was fine, in fact there was no meltdown, no SPD issues just two kiddies having fun. We have been wanting to go back to the Natural History museum for a while as both kids are very interested in dinosaurs but I have to admit the outing fills me with dread. Whenever we have been in the past it has been exhausting, we need to use the underground to get there, there are crowds, it is noisy and the kids tend to get overwhelmed before we even get inside the museum. Anyway last week we decided to just go for it. 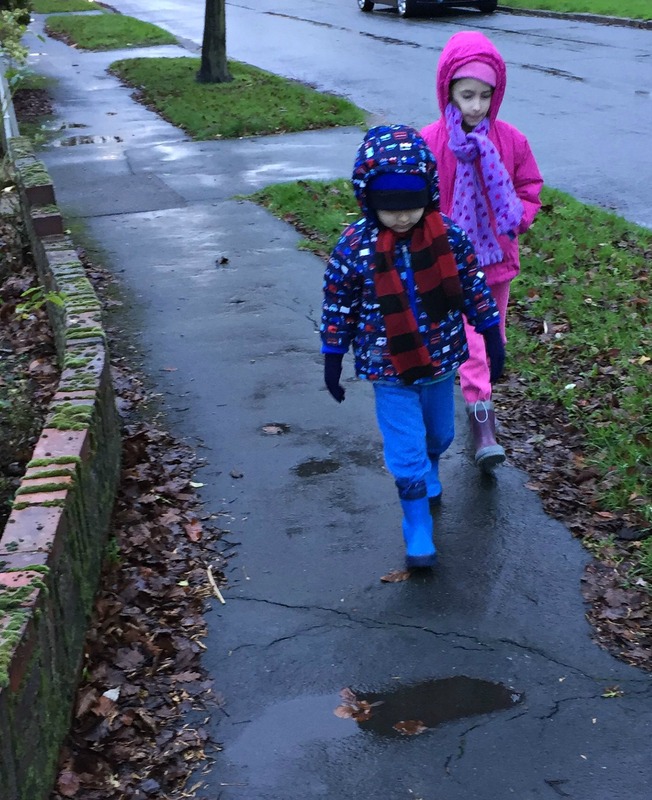 So yesterday I had my backpack all ready (ear muffs, extra clothes, snacks and a soft toy to cuddle if needed) the kids were dressed in cosy soft clothes and in the cold rainy weather we set off. Our train was delayed and what should have been a half hour trip ended up being an hour but both kids where fine on the overground train, then it was time to change to the underground. Dread. We had to take two underground trains (engineering works) and for the first time my daughter managed the tube without her ear-muffs, she never asked once, she covered her ears only once for a quick second when she got a fright but the rest of the time she was fine. No hiding her face in my coat, no over-excited flapping she walked holding my hands like a pro. By the time we got to the museum it was later than we had planned we had a short que but we soon where inside and the exploring began. Both kids looked at every Dinosaur display and loved it. I did have to carry my daughter past the big T-Rex as the combination of the low lights, moving and roaring was just a bit too realistic but after we got past she continued on. We eventually headed home and even though she was exhausted she again managed the underground like a super-star, she did not flinch once or cover her ears. 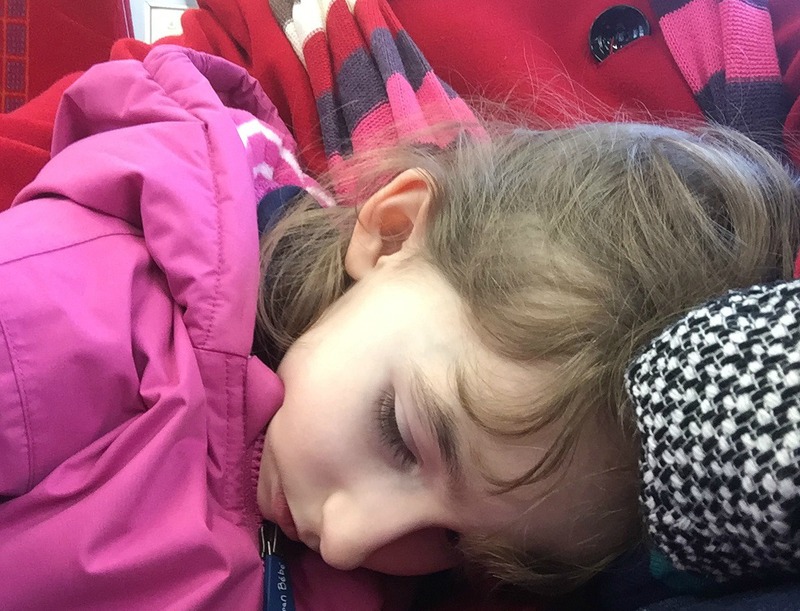 By the time we changed onto the overground train for our last bit home she did lie with her head in my lap but she was just tired, happy tired not SPD over-exhausted tired. Home and still no issues in fact at bed-time both kids asked which museum we could go to next ? So if you dread taking your SPD kiddies on the underground or you dread busy public places. Please read this and know that a trip which just a year ago would have filled me with dread was now a big success. And yes I know in the future the same trip might end up with tears if something goes different but for me it gives me the courage to try. It gives me the knowledge that slowly both kids are getting better at managing their SPD and hopefully it might also mean that us parents are getting better at understanding their needs and helping them with it. This entry was posted in SPD and tagged homeschooling, parenting, sensory play, sensory processing disorder, spd. Bookmark the permalink. Yay! So glad you had such a successful outing. You rock as a mom! Thanks for sharing with us your experience. I’m one of those moms who dread busy places because my little boy doesn’t like crowds and loud noises. However, that means my daughter doesn’t get much chances to visit the museums and exhibitions she so enjoys. But yes, we are taking steps of faith and visiting more of such places.